Keys and locks have been around for centuries, dating back to the Roman era. Keys were worn around the finger like jewelry, signifying wealth and security for the majority of the Romans in that day and age. Over time, the methods and maintenance of locks and keys became more and more advanced, enabling people to protect themselves and their possessions without issue. Most locks can be picked, however, and as a result, more technological advances had to be made to keep locks efficient. Nowadays, between key-loss and lock-picking, the entire concept of a key with a lock is outdated and inconsequent. Switching to keyless entry locks can give you peace of mind and keep you legitimately safe, without requiring you to cart around a pair of keys all day long. People spend the majority of their lives doing pointless, menial tasks, like waiting at red lights and unlocking their doors. By the time you reach the end of your road, you’ll be horrified to see just how much time you wasted on such boorish chores. Instead of being traumatized by the three years of life you’ve spent locking and unlocking doors, you should save yourself the trouble and switch to electronic door locks. Www.atozlocksmith.ca highly recommend them, and you can stop carrying around keys for good. No longer must you fret with the last place you left your keys, and no longer will you have to unlock your door in the dead of night anxiously. Some keypad locks, lock behind you, so you don’t even have to turn around once you’re out the door. 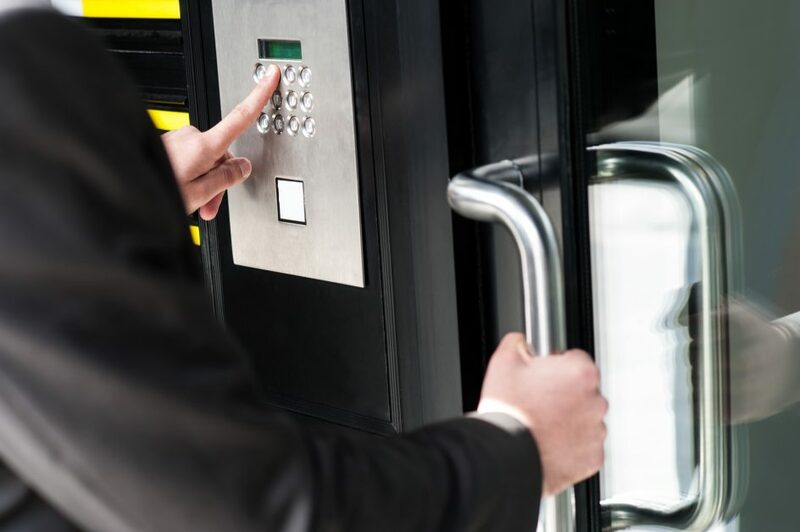 The fact of the matter is, when you utilize a keypad lock for your entry and exit, you can feel much safer in your home as well as outside of it. Some of these locks are pick-proof or impossible to pick, and incredibly difficult to hack, making them infinitely more secure than their traditional predecessors. Not only will you feel safer, but you’ll also be safer. And, so will your children. No longer will your kids have to get their keys, which can be easily misplaced, lost, or even stolen. When they are home alone, the house is locked up tight, with no chance of forced entry. Many of our service calls are for lock change or rekeying. Reasons vary, whether lost or stolen key, contractors have keys after renovation To kids that lose keys at school. With a keyless entry lock, youll never have to worry about any of that since you can change the combination all the time by yourself. Even though keypad locks usually cost more than a standard lock of the same grade. In the long run, you will end up saving money. For few reasons, you will never need to change keys which most people end up doing at least 1 or twice every few years and second you will not going to be locked out. On a daily basis, we are being called by our customers who locked the house key in the car, forgot it at work, lost it, etc. With a keyless entry, you will not have to worry about that and will save future inconvenience and money!